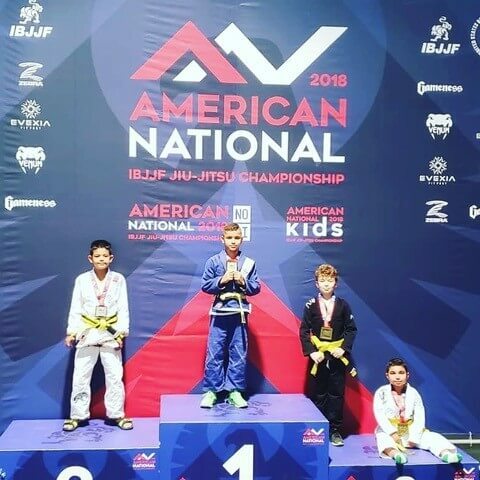 A BIG Congratulations to ATTFTL’s Jorge and Ana Luiza Fernandes for Bringing Home the Gold and Silver in Their Divisions! 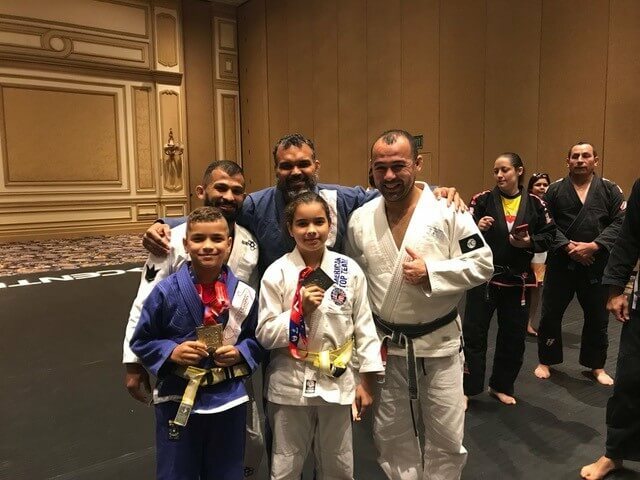 Master Junior and Ana Fernandes from American Top Team Fort Lauderdale went to Las Vegas for the last five days to take their children Ana and Jorge to National Jiu-Jitsu competition. Jorge won first place in his division which had five other competitors. This was the first time he was able to go to nationals and he was able to win first place! Ana Luiza Fernandes also was able to win second place in her division! A big congratulations to both kids for their hard work and dedication. 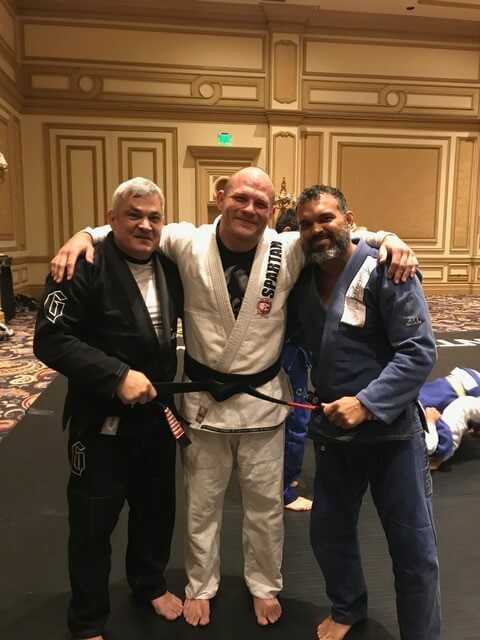 This was the first time that American Top Team Fort Lauderdale was able to have one of their students compete in such a big tournament. We are all very proud both kids were able to place in their divisions! After their nationals competition Master Junior Fernandes and his family went to the MA Super show (Martial Arts Industry Association Super show). Master Junior and Ana Fernandes attended to the MA Supershow seminar to see how else they could improve their excellent service at their martial arts school. People that attended the seminar spoke about how they are going to bring a lot more seminars for self-defense in Fort Lauderdale. Some of the speakers included Rob Waldman, Mike Metzger, Shane Tassoul, Rondy Mckee, and Robby Beard. Other seminars included Jiu-Jitsu and were hosted by the world’s best such as Ricardo Liborio, Bruno Malfacine, and Marcelo Garcia. At the event, Master Junior Fernandes, together with Ricardo Liborio, awarded Kelly Anundson with his Black-belt. Kelly “Crossface” Anundson is a former Bellator fighter and has been training with Master Junior Fernandes for more than 7 years. He went to the Seminar with Marcelo Garcia and earned his Black-Black Belt at such a special time. 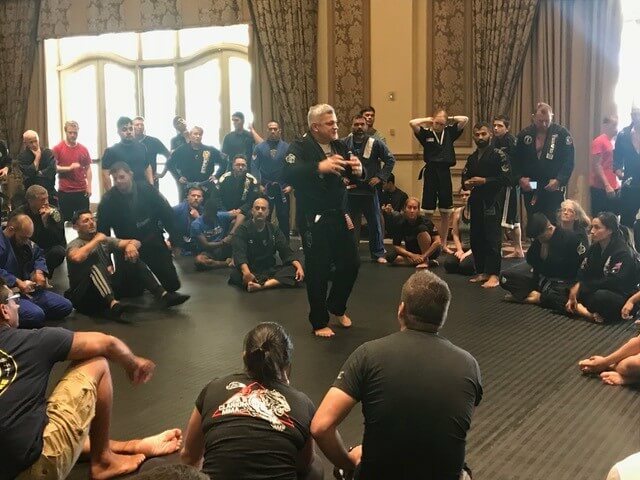 The speakers at the seminar recognize how big Mixed Martial arts has become in South Florida and they want to ensure we give the best service possible to all our existing and potential clients here in Fort Lauderdale. They are going to bring a lot more self-defense events into the schools in the area such as more anti-bully programs. The speakers are going to visit each school and talk about ways that these events can be prevented. There will be a list of self-defense programs being added to many schools in South Florida. Seminars for how to handle situations in the cases of shooters are also being added to their list of events. The speakers are going to be going through a list of actions that your children should take in the instance of an active shooter. 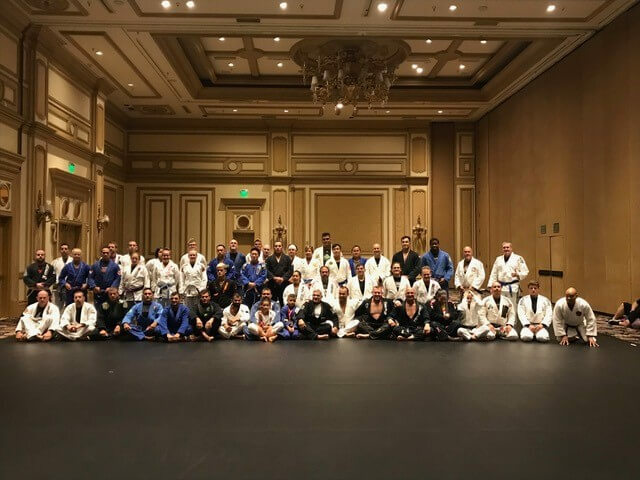 It was very important that Master Junior and Ana Fernandes went all the way to Las Vegas to represent the Fort Lauderdale martial arts community so that they are bettter able to serve all of their students. The MA Supershow helps all the martial schools grow their buisness the right way.